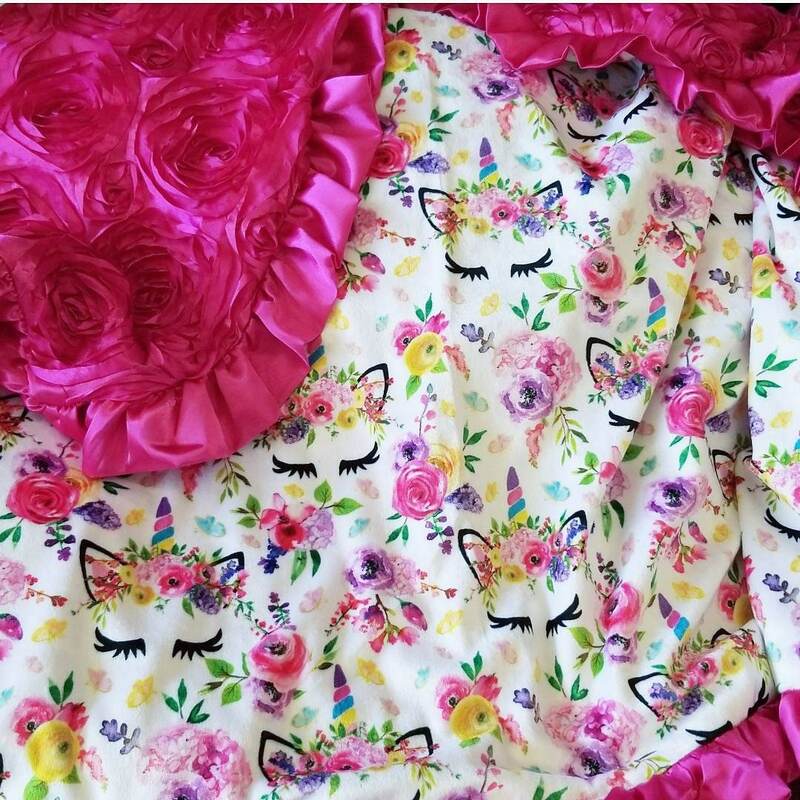 Unicorn baby bedding. Unicorn nursery. Unicorn Crib set. Baby girl nursery. Pink baby bedding. This beautiful set can be customized! To purchase as pictured, cluck link to check out. 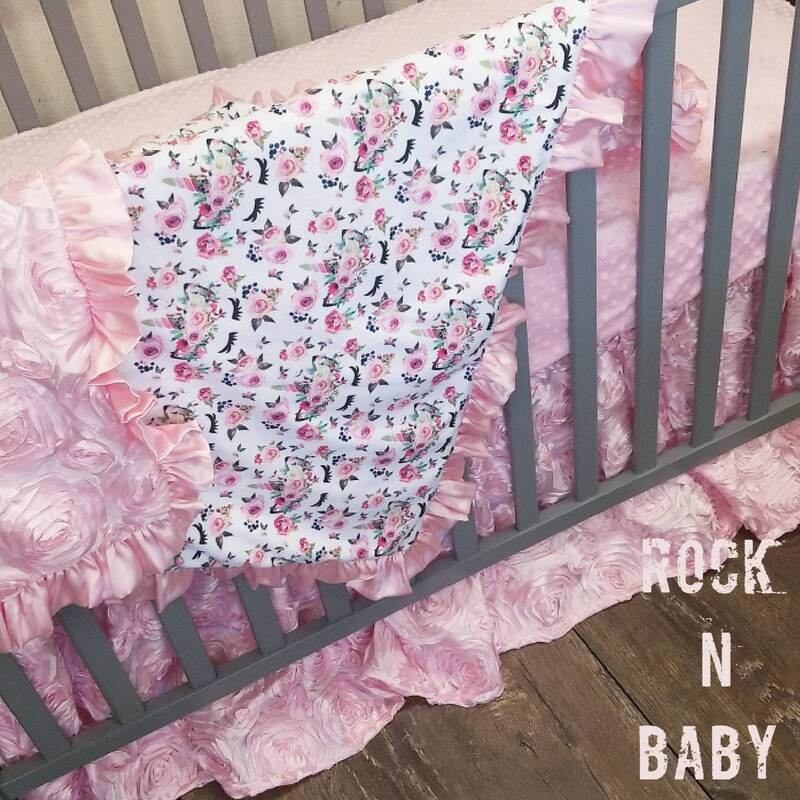 Set includes crib blanket with our premium custom printed unicorn minky fabric backed with baby pink satin rosette fabric and finished with a baby pink satin ruffle. A baby pink minky dot sheet. 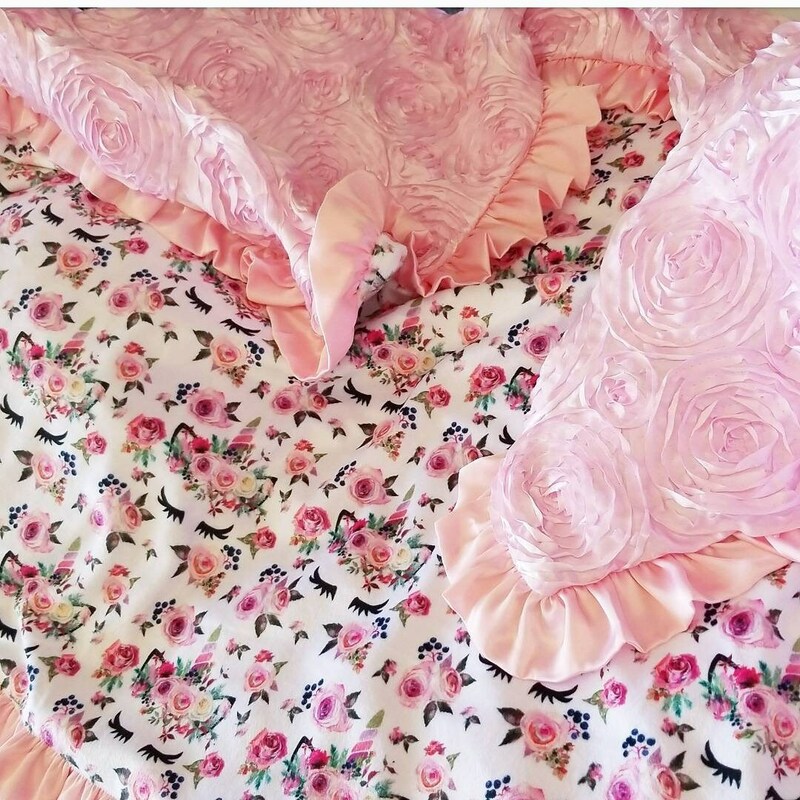 18" 3 sided ruffled satin rosette crib skirt. We can create matching accessories in the same fabrics. It took a long time to come in but that’s normal for anything hand made. Looking at the few bad reviews they all complained about how long it takes. That’s why I always try to order a month or two before if I want something that is hand made! It’s beautiful & was made verywell. I love it.